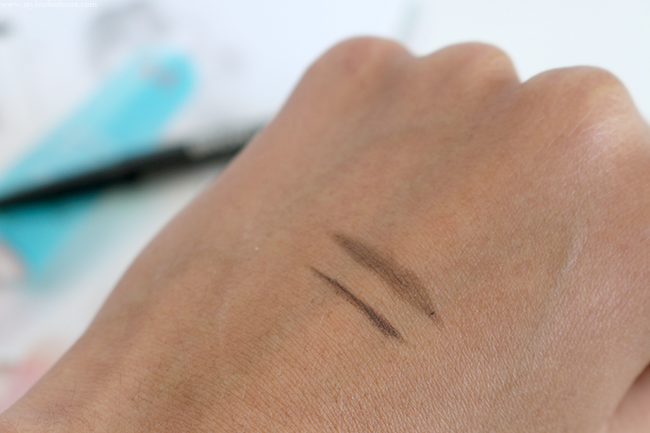 I've been using the NYX Auto Eyebrow Pencil for a long time and raved quite a bit about it because I honestly feel it is the best one I've used. 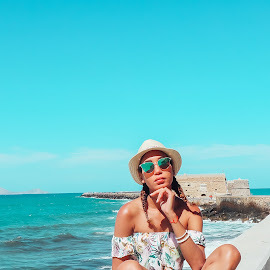 But, after moving to Barcelona I realised it is quite hard to get a hold of since I am yet to find a NYX store if one exists in Barcelona, and the one beauty shop which sold it (but unfortunately not in my shade) will no longer be stocking NYX products. 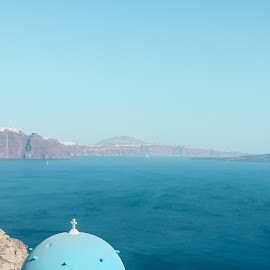 Hence my search began... 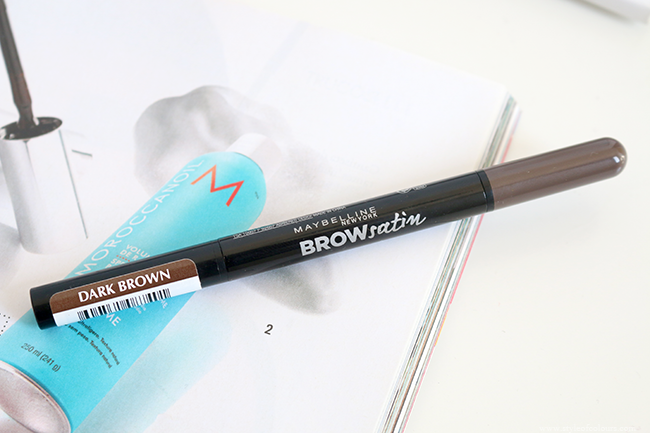 I checked out loads of brands and finally came across the Maybelline Brow Satin. I grabbed it immediately and ran home to test it out with the hope that this will be my new holygrail eyebrow pencil. The Maybelline Brow Satin is an automatic eyebrow pencil but what makes it different than the one I'd used before is that it has the screw out pencil on one end and powder on the other. I have got the eyebrow pencil in Dark Brown and the colour matches me well. 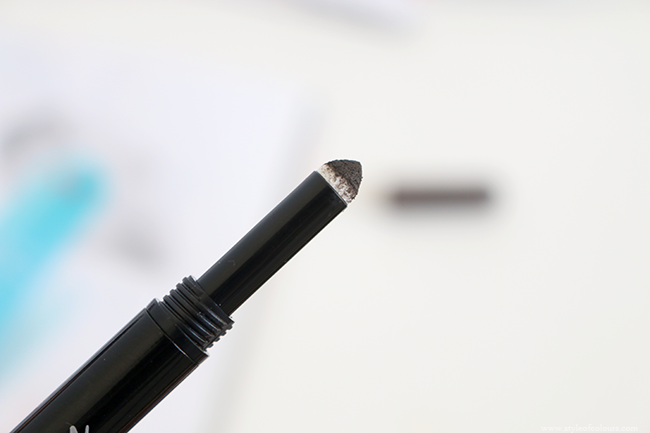 The pencil is a gel formula and applies quite smoothly. I use it to shape my brows, and it does require a bit of pressure or a lot of strokes to get the colour to dark brown. On the other end of the pencil, there is a pointed sponge and powder either inside the cap or in the sponge. This for me makes it a winner because you can not only shape your brows but also blend it all perfectly using just one product. I've been loving using this product for my eyebrows everyday. The only problem I have is that it is quite thin so it keeps breaking. Not like I apply too much pressure, but I think the angle is wrong or something when I'm doing my right brow because that's the only time it breaks. Overall, I am happy with my purchase and would recommend you give it a go. Likes - Automatic, great colour, applies well. Dislikes - Breaks when pressure is applied. 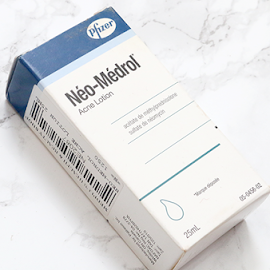 Available - Boots, Superdrug, Druni. 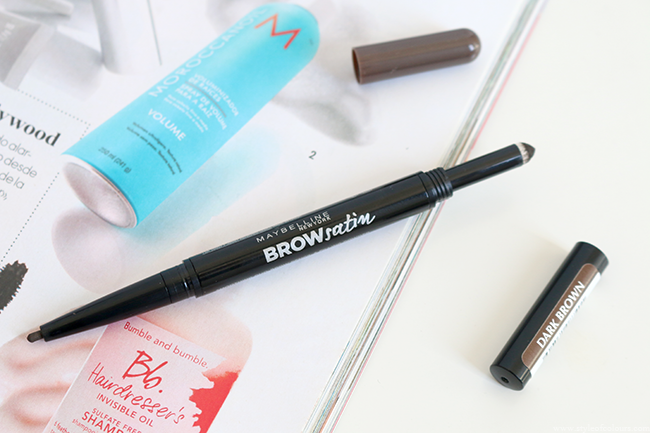 Have you tried the Maybelline Brow Satin? 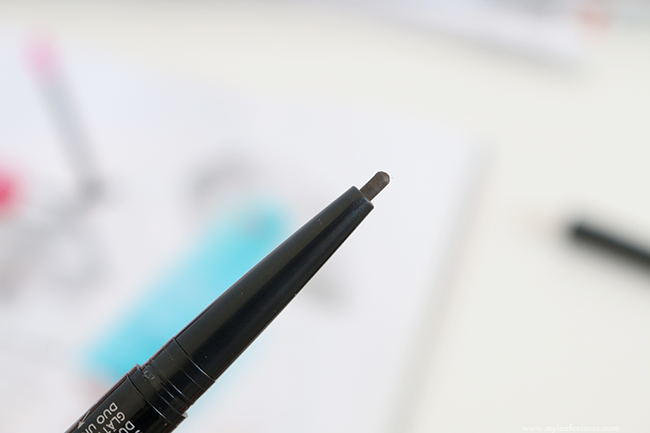 What automatic brow pencils would you recommend?